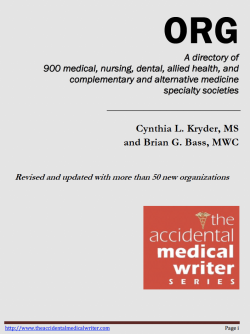 If you’re looking for a list of organizations that might be in the market for freelance medical writers, the ORG Directories are good places to start. to expand your client base. 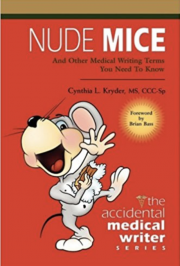 organization in the directory that matches your keyword. 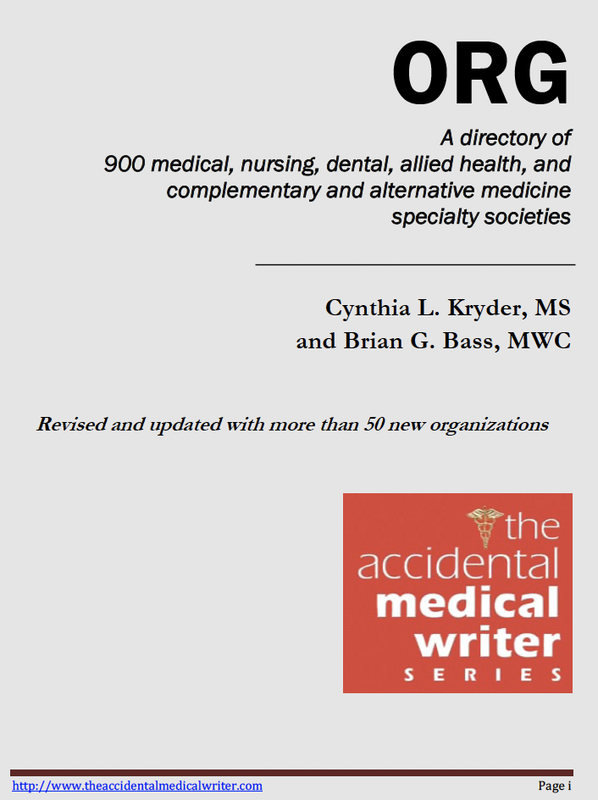 Enjoy this free and expansive list of medical specialty societies and related websites. 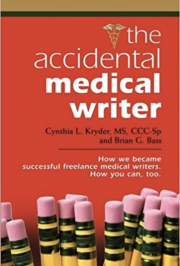 THE ACCIDENTAL MEDICAL WRITER: How We Became Successful Freelance Medical Writers. 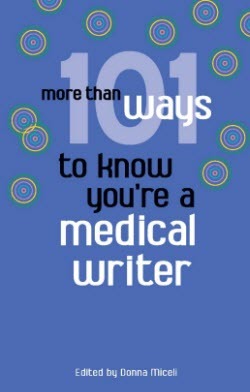 How You Can, Too.